But use the shield logo as the background with the words Since 1998 on either side of the shield. 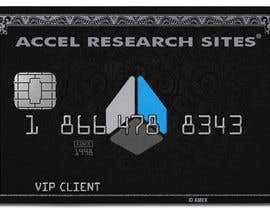 Use the wording ACCEL RESEARCH SITES instead of american express. Maintain the same color scheme, font, etc. 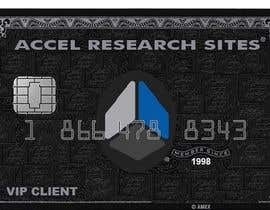 Winner of this contest will be offered the back of the card as well. Please remove the watermark that reads american express. Please remove the circle around the shield. 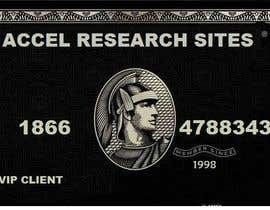 Sir i cannot understand description of credit card please please describe easily. I will not pay for private entries but will ensure stolen work is not awarded.